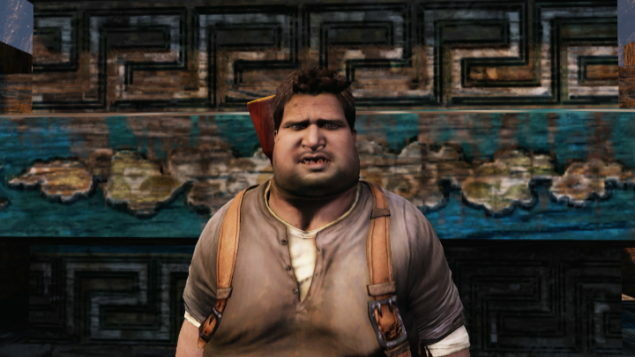 Doughnut Drake, the fat version of Nathan Drake that has been an unlockable bonus since the very first Uncharted game, will not be making an appearance in the next title. The bonus has been around since the franchise began, but, despite being modelled and ready to go in the first original PlayStation title, the character skin was removed because the developers felt they’ve moved beyond it. GamesRadar reported that Neil Druckmann felt he no longer wanted to laugh at someone else’s expense, adding that he thought the company had matured beyond that stage. “We actually had the whole thing modelled and in there. The decision has led people to wonder if the skin could be added in as DLC at a later date, so that only those that want it have to deal with it. Of course, that sort of thing will be revealed at a much later date. If the studio has decided this sort of thing is on the way out, it’ll be interesting to see what bonuses still remain when the game is released over the next month or so.